“In my heart, this album is me,” says Jai Wolf, better known to some as Sajeeb Saha. “From the sounds to the lyrics, it’s everything that I’ve always wanted to do.” While the dance music world becomes more ubiquitous, Jai Wolf has taken a different approach under the wing of indie darling label Mom+Pop (Courtney Barnett, Flume, Jagwar Ma, Alina Baraz), largely eschewing singles to focus on patiently crafting The Cure To Loneliness over the course of the past two years. The result is a thoughtfully framed, confidently expressed musical vision that will tug at heartstrings in 2019 and long beyond. The album is available everywhere April 5th. 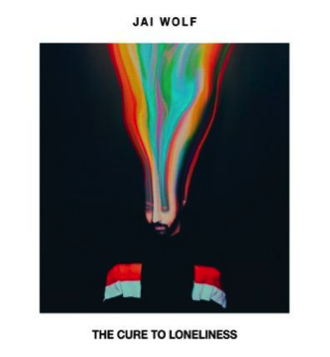 January 14, 2019 – Today, indie-dance anthem artist Jai Wolf returns with the announcement of a new full-length album titled The Cure To Loneliness available April 5 on Mom + Pop Music (Courtney Barnett, Flume, Jagwar Ma, Alina Baraz). To coincide with the news, Sajeeb Saha, aka Jai Wolf, shares two new tracks from the forthcoming album. “Lose My Mind (feat. Mr Gabriel)” is a transformative alt-pop leaning song that comes equipped with an interstellar video that will pull at your heartstrings. The other, “Telepathy,” a thundering tune that progresses his trademark sound to new heights. The Cure To Loneliness is available for pre-order here. In conjunction with today’s news, Jai Wolf also announces an extensive tour across North America starting April 10. Tickets will be available to the public on January 18 at jaiwolf.co/TCTLtour. Breakout songs like “Indian Summer” and “Starlight” pushed Jai Wolf into the spotlight. Now, The Cure To Loneliness finds him completing an evolution from upstart bedroom remixer to future bass DJ to dream pop artist and builder of lush musical worlds. While still very much a dancefloor-focused endeavor, building fan bases with blockbuster festival sets from Indio to India and regular co-signs from the likes of Skrillex and ODESZA, some tracks on the debut conjure the angular songs of The Strokes and Phoenix, while weaving melodies through the sugary happysad of M83 and CHVRCHES, and throw up walls of sound touched by Explosions in the Sky —all while maintaining the melodious polish and evocative groove to which fans around the world have grown so close. For more information, visit jaiwolf.com. Jai Wolf will be going on an extensive tour across North America starting April 10, with six of the shows, including a night at The Shrine Expo Hall in Los Angeles, already sold out. Tickets are available to the public now at jaiwolf.co/TCTLtour. Mar 05 2019 Jai Wolf Feat. Day Wave Release Colorful Video "Your Way"
Today, indie-electronic-anthem artist Jai Wolf releases a stunning music video for his song “Your Way” feat. Day Wave. The “Your Way” video uses vivid colors to juxtapose the lavish lifestyle of a famous person with social isolation and loneliness. Today, indie-electronic artist Jai Wolf shares his rousing new instrumental, “This Song Reminds Me Of You,” based on the personal journey from a past tour. “I started this song at an airport at 5 am. I was about to head out on a bus tour and felt really excited, so I wanted the song to capture that exact feeling. I usually never write at this tempo, so it was fun to try something new. It’s definitely the most upbeat song on the album,” shares Sajeeb Saha, aka Jai Wolf. The Cure To Loneliness finds Jai Wolf completing his evolution from upstart bedroom remixer to future bass DJ to dream pop artist and builder of lush musical worlds. While still very much a dancefloor-focused endeavor, some tracks on the debut conjure the angular songs of The Strokes and Phoenix, while weaving melodies through the sugary happy-sad of M83 and CHVRCHES, and throw up walls of sound touched by Explosions in the Sky – all while maintaining the melodious polish and evocative groove to which fans around the world have grown so close. Next month, Jai Wolf starts his North American tour on April 10, with six of the shows, including a night at The Shrine Expo Hall in Los Angeles, already sold out. Tickets are available to the public now at jaiwolf.co/TCTLtour. 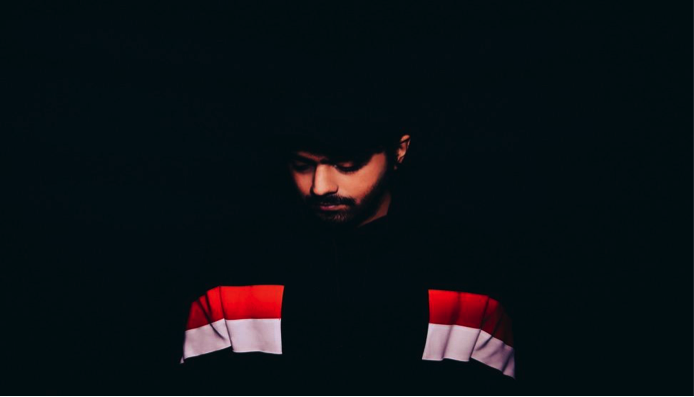 Born in Bangladesh, raised in New York City, and inspired by everything from indie-punk to hip-hop, orchestral symphonies, and the Bollywood classics of his parents, Jai Wolf’s life and music have been defined by a liminal quality that only a third-culture kid could understand. It’s that quality that takes center stage on The Cure To Loneliness, as he slips between references to cultural moments with an ephemeral quality tinged with nostalgia. The sunny melodies and bombastic hooks bely subject matter that often ruminates on loneliness, distance, and a lack of place. This all converges to create an emotional complexity to the music that cuts deeper than the average festival fare. The fact that Jai Wolf never quite fit in used to be fuel for his daydreams; now, it’s what makes him one of the most exciting electronic artists of his generation. Jai Wolf starts his North American tour on April 10, with seven shows, including a night at The Shrine Expo Hall in Los Angeles, already sold out. Tickets are available to the public now at jaiwolf.co/TCTLtour. 6/1 – Los Angeles, CA – Shrine Expo Hall (SOLD OUT) *X! * SHALLOU, ~ GIRAFFAGE, ^ HOTEL GARUDA, > LUTTRELL, + MELVV, X FORD.